This new exclusive hotel is a part of Importanne Resort in Dubrovnik's Babin Kuk. Royal Princess Hotel is ideal place for those seeking for luxury accommodation and excellent service. Dubrovnik's Old Town, where most Dubrovnik attractions is located, is easily reachable by city buses. 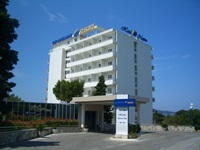 Hotel is surrounded by lush Mediterranean garden from one side and crystal clear sea from other. Importanne Resort has a private beach area. From the hotel you can enjoy stunning views of the nearby Elaphite islands, popular destination for summer day trips. FROM DUBROVNIK AIRPORT: The airport shuttle bus will take you to Pile Gate. From there you can choose from taking bus no.5 or bus no.6 and travel until the last stop (next to Valamar Dubrovnik President Hotel). FROM DUBROVNIK PORT/MAIN BUS STATION: From the neighbourhood of Gruz take bus no.7 until the last stop. Cross the road and take the stairs leading towards the sea. At the bottom of the stairs, Importanne Resort's main entrance is located. The Royal Princess Hotel is the last building in the row but you need to check in at central reception. FROM OLD TOWN: Take either bus No.5 or bus No.6 and travel until the last stop. Cross the road and reach stairs leading towards Importanne Resort. Royal Princess Hotel houses 54 suites that are well furnished and equipped with a range of amenities such as LCD Satellite television, multiple telephones, mini-bar, in-room safe, hair-dryer, toiletries, bathrobes and slippers, air-conditioning, work desk, spacious closets. 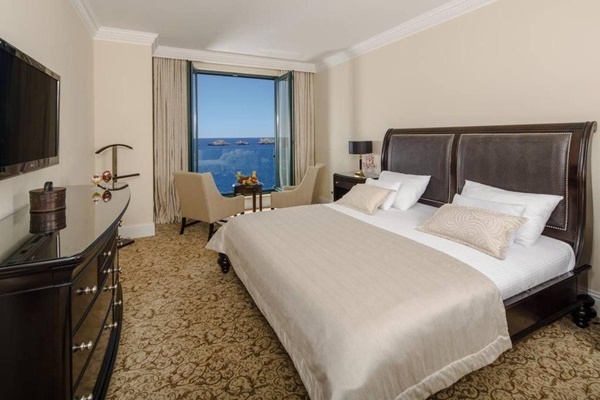 Guests can choose from Deluxe Suites with park view or sea view. There is also Presidential Suite for those seeking for extra luxury. This accommodation offers an extra comfort with sauna, jacuzzi, living and dining room. 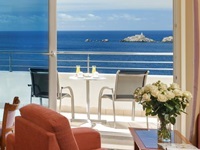 From the balcony of Presidential suite you can enjoy amazing views over Adriatic and nearby islands. 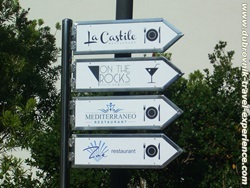 Three restaurants will make happy all guests of the Importanne Resort. Mediterraneo Restaurant is a buffet restaurant for guests. Zoe Restaurant is a la carte restaurant. La Castille is a great place for a nice dinner. On the Rocks Bar & Lounge has a beach location and is ideal place for refresh yourself throughout the day. It serves hot & cold drinks and light meals. Importanne Resort's beach consists of rocky and concrete area below the hotel. The area is filled with deck chairs and parasols which are complimentary for the guests. There are also two outdoor pools as well as children's pool. For those who prefer pebble beach, nearby Hotel Valamar President beach would be the ideal choice (the beach is public).